Today, I reached level 40. That sounds way cooler than just saying “I turned forty years old,” you know. I celebrated with family and good friends. The best line of the evening, and I am not making this up, was “This is not a rabbi. It’s R2D2.” No context for you. So you have a finally finished a story. What are the main markets? Who do you want to avoid. Has the genre become too serious and pretentious in recent years? Do too many writers feel they are philosophers and teachers? Well, here we go again. Another social network rears its ugly head and everyone contemplates jumping ship. Discuss as former GEnie members nod wisely. Fri 7:00 PM in Crystal Ballroom Three—“Ender’s Game”: The Book versus The Movie (1504)Just one week before Philcon 2013, Hollywood finally released a film version of the classic SF novel “Ender’s Game”. How did the movie differ from the book. Were the changes necessary, or did they change the tone and theme of the story? Did they do it right? 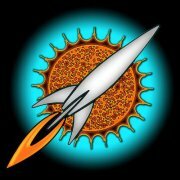 Sat 1:00 PM in Plaza III (Three)—Editing Anthologies: Beyond the Gimmick (1499)Anthologies are often sold on the basis of a gimmick or concept that connects the stories, such as “Killer Rutabagas from Space”. How do you get beyond the gimmick to a work of substance? Sat 6:00 PM in Crystal Ballroom Two—Becoming a Full Time Writer (1496)How do you become a full time writer? Is that a good idea for you? Sun 2:00 PM in Crystal Ballroom Two—Meet the Editors Panel (1535)Magazine and book editors discuss the current fiction markets. I turned 37 today. Alert the media. Or don’t. But, editors, please hold those rejection slips until tomorrow, k? Over the last couple of weeks, I got to attend PhilCon, which was an awesome convention. Although it was a bit smaller than I expected (probably around 1000 people) I had a great time, catching up with old friends and meeting lots and lots of new ones. 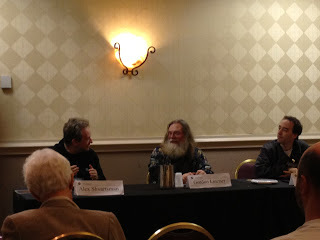 I got to participate in discussion panels with the likes of Gardner Dozois, Neil Clarke, and Gordon Linzner and (mostly) held my own! I’m already contemplating more conventions to attend in 2013! This photo was blatantly stolen from Michael Haynes’ blog, where he talked about his own PhilCon experience and posted several more photos. And since we roomed together and hung out together for most of the con, I’m in several of those. Another bit of good news I received literally the day before PhilCon was that Buzzy Magazine accepted “The Tinker Bell Problem.” It’s a story of a demon who summons a human via a pentagram, expecting the human to use its awesome powers in order to solve all of the demon’s problems! It’s also my second sale to Buzzy and I’m excited that this story will be appearing there sometime in 2013. 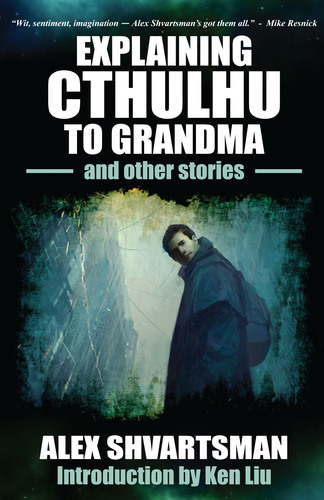 I also have an interview up today at the Fantasy Scroll blog by Iulian Ionescu where I talk some about the challenges of being a writer for whom English isn’t a native language, publishing an anthology, and South Park. 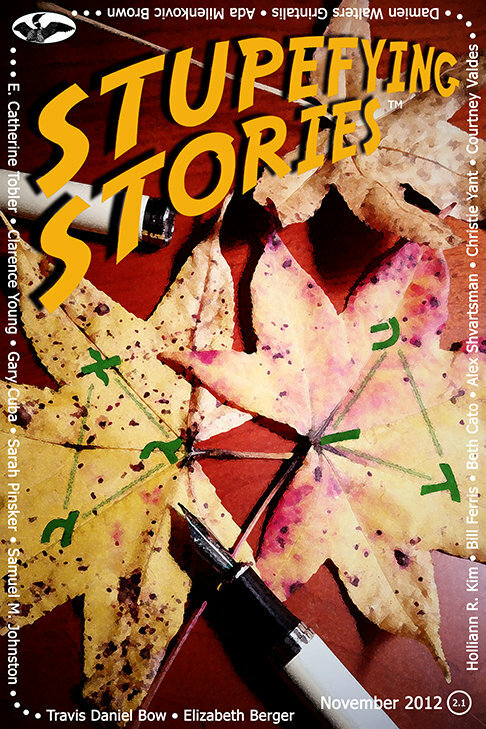 Finally, I’m pleased to announce that Stupefying Stories issue 2.1, guest edited by David M. Blake, is hitting the virtual newsstands this week. David put a tremendous amount of work into collecting this issue and interweaving some ideas and concepts throughout multiple stories. It is also about twice as “thick” as a typical issue, and features some truly excellent authors, so you’d do well to check it out when it goes on sale! I’ll be attending PhilCon in Cherry Hill, New Jersey next weekend, and the organizers just sent me my schedule. I will appear on 6 panels over the course of Saturday and Sunday, which are listed below. I want to meet *everyone* so if you want to hang out, e-mail me, Tweet at me, contact me on Facebook or just find me at the con! GAME DESIGN FOR FUN AND (PROBABLY NOT A LOT OF ) PROFIT! GETTING A (KICK)START(ER) ON THAT PROJECT! If you have suggestions, anecdotes or requests for the discussion points on any of the above panels, please post them in the comments! I’m especially eager for some help on the time travel and best-of-2012 panels.